Home » Columns » Social media sham jobs? 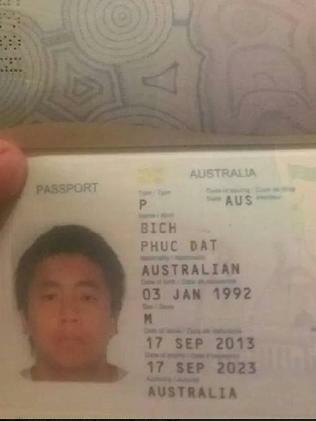 Phuc Dat, Bich! Social media sham jobs? Phuc Dat, Bich! I HOPE you’re sitting down, because this might come as a shock: it turns out that bloke who said his name was “Phuc Dat Bich” wasn’t telling the truth. If you somehow missed this story, firstly: welcome back to your home planet, I hope you had a nice trip. Secondly, to fill you in: the world practically imploded recently over the story of a Melbourne man who claimed his name was “Phuc Dat Bich” — a moniker apparently not uncommon in Vietnam, and not pronounced the way you might think. This bloke had posted a photograph to his public Facebook page of what he said was his passport, showing his name as described, and complaining that no one ever took him seriously. “I find it highly irritating the fact that nobody seems to believe me when I say that my full legal name is how you see it,” he wrote. Despite the post being more than 10 months old, and despite the passport photo being suspiciously blurry, and despite the font of “Phuc” and “Bich” looking decidedly different from the rest of the passport, and despite the whole thing having been shared around by several joke websites for months, the world suddenly decided it was “news”. Thus Mr Bich’s post was copied word for word and plastered all over the internet, and was shared and tweeted tens of thousands of times by people who just couldn’t believe his crazy name. Well surprise, surprise, but there’s a reason for that. Yes, amazingly, the out-of-focus passport with dodgy lettering turned out to be fake, as “Mr Bich” finally admitted in another Facebook post, labelling the whole escapade as “a prank that made a fool out of the media”. I’d say, “Well played”, but really, he didn’t even have to try. In fact it seems no one has to try too hard these days to “go viral” online: just come up with a cute story that strikes a comedic or emotional chord, post it on Facebook, and wait. Like New York woman Julia Price, who racked up almost 12,000 likes for her Facebook post recently about the man who sexually harassed her in the street, and the little boy who shamed him with a good telling-off. “This little boy who was walking alongside his mother ... looked at the guy and said, ‘Hey. That is not nice to say to her and she didn’t like you yelling at her. You shouldn’t do that’,” Ms Price wrote. Oh he did, did he? Yeah, that sure sounds like something a little boy would say to a strange woman. Forgive me for not believing a word of it. The urge to like and share engaging stories like these is a powerful one, but is it worth it if we’re just spreading lies and hoaxes? As with so many of these social media sham jobs, there’s only one decent response: Phuc Dat. Originally published in The Advertiser, December 2, 2015. CLICK HERE to read the original article.